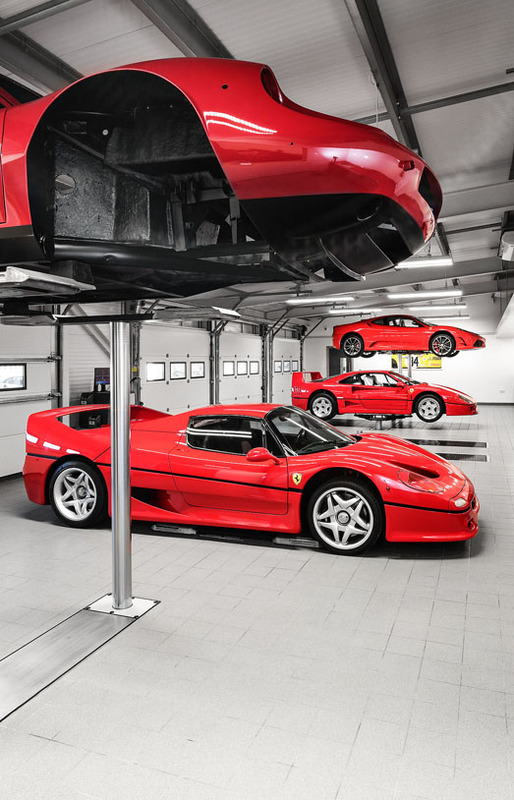 DK has a hugely-impressive, purpose-built, Ferrari service facility in Chorleywood (Herts) specifically for Ferrari servicing. 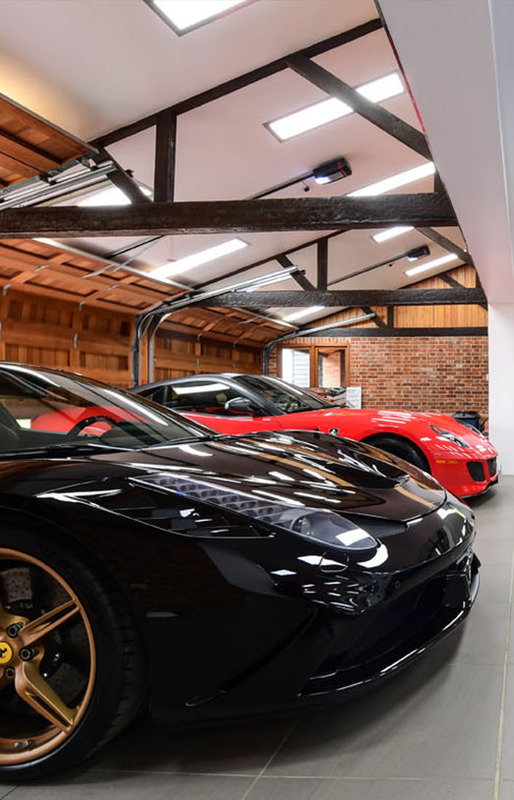 This includes a 8,000sq ft workshop (including eleven ramps for Ferrari servicing), plus two dedicated 750sq ft engine and gearbox workshops, all housed in our converted traditional farm buildings. 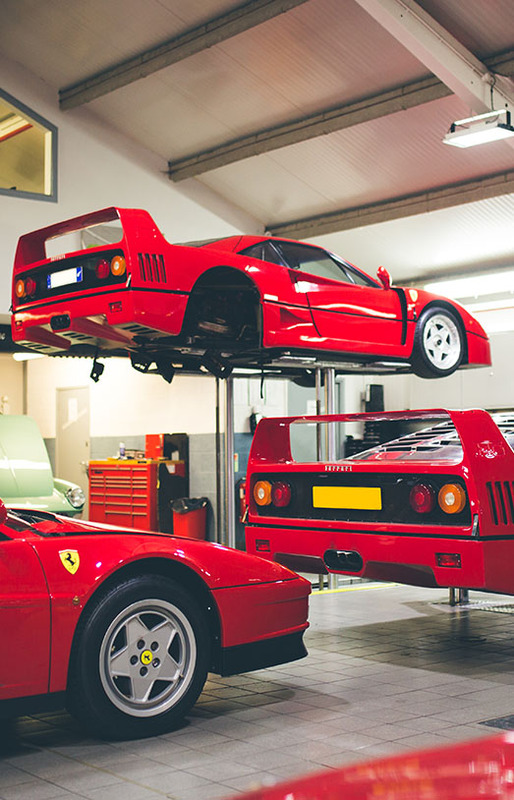 DK can perform servicing on any model of Ferrari from 1947 to date. Our technicians are either Ferrari main dealer factory-trained or trained in-house by our qualified seniors. We strive to provide the highest quality workmanship. For contemporary models we specialise in the 'F-Car' series, most notably the F40, but can equally cater for any production Ferrari.